I was making a dumpster bin run in one of the ritzier parts of town the other day and...you'd be amazed at the stuff that well-to-do folks consider garbage and leave in their trash, on the curb, or in a locked safe in their panic room...and I noticed something-- ever third driveway had a Tesla Model S parked next to a Maserati, Range Rover, or Jeep Grand Wagoneer. Naturally, when I returned to a place with free wifi, I did a quick interweb search and found that those Teslas are still bloody expensive on the used market. 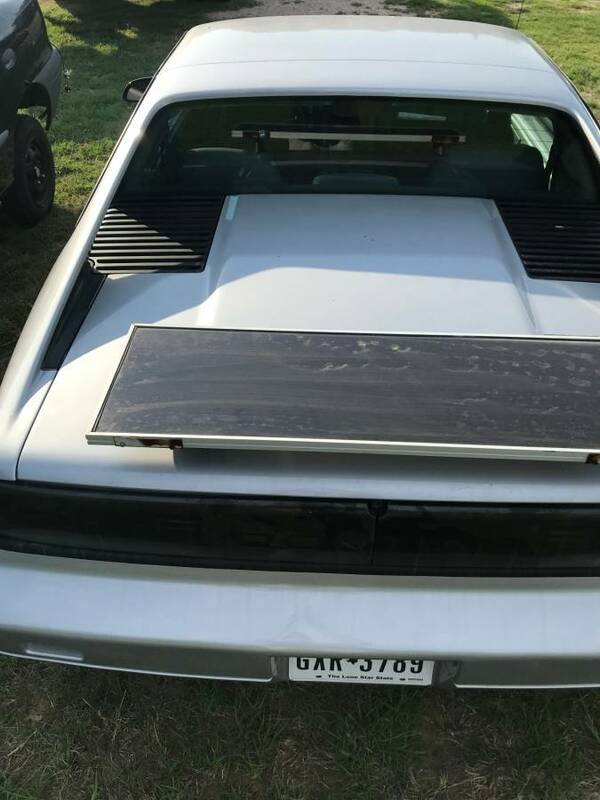 So, if you want an inexpensive used Tesla, it ain't gonna happen, but you'll need to settle for something like this this 1986 Pontiac Fiero Electric offered for $1700 in Burleson TX via craigslist. Found on deadclutch. This unique project was converted from gas to DC electric 144 volts about 10 years ago. It now needs batteries, like so many EV projects. The gas engine and associated parts are long gone. It has been repainted and looks good. It's not a flawless daily driver. It's a project car that has been driven very little in the last 5 years. The Curtis Controller handles up to 500 AMPS at 144 volts. This offer includes a 220 volt EV battery charger, but the car no longer has batteries in it. If you can't afford a Tesla, and want to tinker with or learn about how Electric Vehicles work, this is a bargain for you. Like so many vintage cars, this would be a good fit for someone who can work on things. A basic understanding of how golf carts or fork lifts function is the basics of this. Just much higher voltage. When it was first converted, Golf Cart batteries were the only option. Over 1,000 of lead batteries gave a range of up to 40 miles. With many Lithium options today, the speed & range with be a compromise with budget. At present, it has no heat, no ac, no radio. It looks decent and has lot driven under its own power earlier this year before the old tired batteries were sold as cores. And finally, because this is stored at my friends ranch near Burleson, it is only available for viewing afternoon on Saturdays & Sundays. 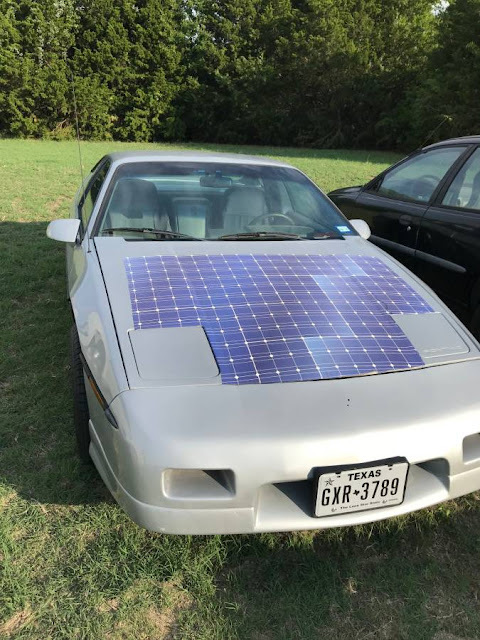 "If you can't afford a Tesla, or a high amperage charging station, consider this amazing solar-cell charged Fiero. If you live in a sunny place, just park the car outside for 8 or 9 days. Then, you can drive it around the block. Maybe even twice! Curtis Controller has been certified as a super-cool steampunk antique"
-Stan (who loves the idea of electrically converted classics... but shudders at the solar panels (or are they decals?) on the hood and rear deck).